You might need your Support PIN to work with our support team. 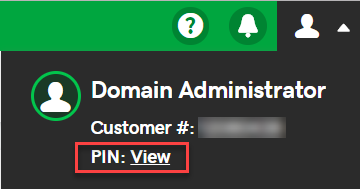 In case you can't remember the Support PIN you set up when you created your account, it's easy to find the PIN after you log in. Log in to your account, and click the user icon in the upper right-hand corner of the page. You can find your current PIN in the Support PIN section. Now you're ready to contact customer support.